Children and young people with a care experience often face discrimination and stigma due to being in care, despite being in care through no fault of their own. 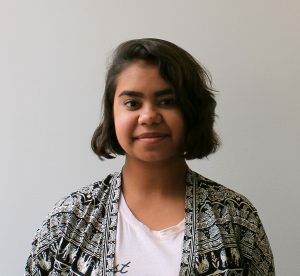 Young Consultant Shannieka, from Western Australia, shares what she thinks about the stigma carried by children and young people in care and the Snap that Stigma campaign. I think stigma comes from a lot of things, but I find personally that it comes from the media. Once the media catch onto the bad stories they blow them up and the story that they produce is really one sided. I feel like once the media gets wind of Aboriginal kids and young people in care, any experience or event that went on, the media go all out on it. That plays on from how we are looked after in care and affects how carers might think about kids in care. If we had stable carers we would essentially have stable kids, and then the media wouldn’t put so much stigma out about us. I get worried that too many carers and social workers glorify the bad about us, and then they go and tell everyone who is working with us: so everyone knows what’s going on and that’s one of the ways that the stigma of children and young people in the care system comes about. I feel as though there should be more confidentiality when it comes to getting new carers and social workers. They should be thoroughly informed about what you should spread and what you shouldn’t spread when it comes to the problems that go on in other houses. I think it’s important to keep doing things like the Snap that Stigma video and promoting a positive image of young people in care. It’s important to be spreading hope out to young people and kids in care and to give them a voice if they don’t have one and to inspire and encourage them to speak up. Do you know a young person in care achieving amazing things? « Register Now for Voices in Action!